This personalized My First hardwood photo frame is available in 4x6, 5x7 & 8/10. 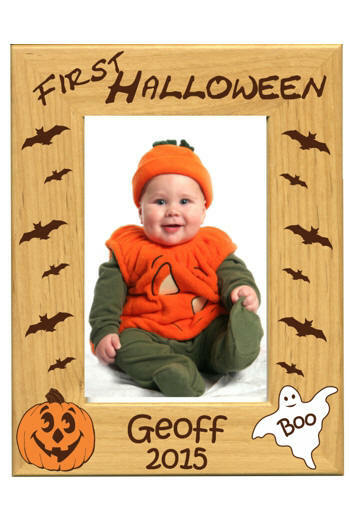 It features a cute orange pumpkin and white ghost graphics with your child's name personalized on the bottom. We can expertly laser etch the frame for a portrait or landscaped photo.